We all get things wrong at times. Just now I went to take a sip of a drink I had put in the microwave... BLURK! It was lukewarm because I left out the minute hand on the timer. Even a modest $1 million lottery prize can change your life, as Bruce Magistro will find out with his $1M New York Win For Life lottery win. He is seen here with announcer Yolanda Vega. What could have been a disaster turned out to be the luckiest move for the Bus Busters lottery club. The woman who volunteered to buy the mix of Mega Millions and Powerball tickets for the draw had accidently messed up. Recently I went to my independent lotto shop mid-morning, and got a shock. It was closed. The door was shut, pavement signs outside were gone, but the lights were on inside. 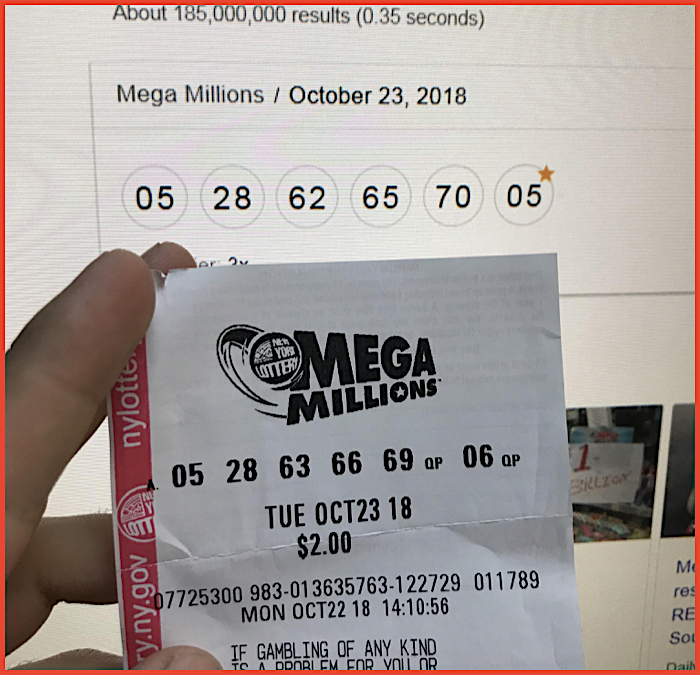 While the world waits for the $1.6 Billion Mega Millions winner to claim their prize, this Redditor posted a sad example of their near-miss on r/funny. There were probably thousands of similar close number combinations, but it still requires an exact match to make a fortune! On a June 2011 draw, one of the South Carolina Education Lottery draws went crazy as the balls started flying out of a draw tube. The draw was cancelled and redrawn later. Luckily errors in lottery draws are uncommon. The ones shown here didn't caused any problems for winners. Will You Get Your Lottery Prize If You've Lost The Winning Ticket Or It's Claimed By Another? It can happen to anyone. The ticket was in your wallet just yesterday, then got thrown out in in the trash. This happened to a young British couple who missed out on a £3 million (US$4.1M) lottery fortune after losing their ticket. So they took their case to court.